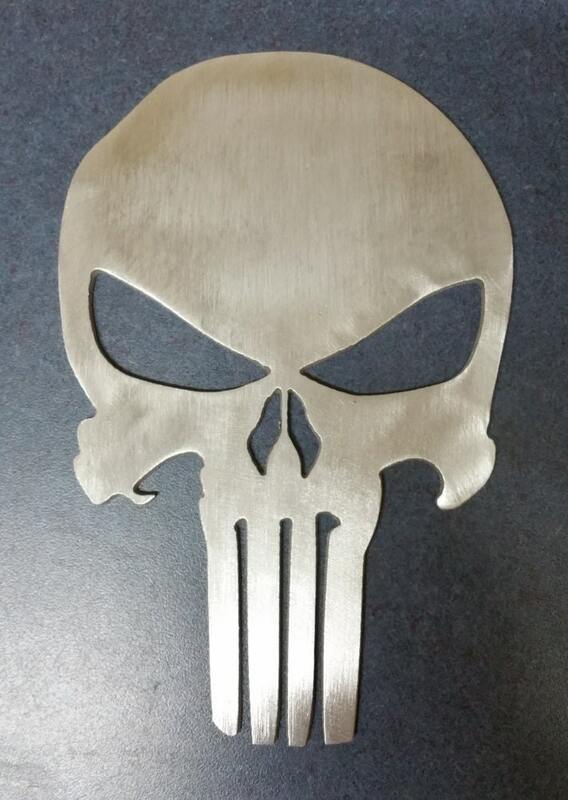 Raw aluminum punisher skull. Brushed finish shown, this skull measures 7.5" tall and 5" wide. 1/8" thick 6061 aluminum plate. All equipment, processes, and materials are bought and maintained right here in the USA. Other finishes, material, etc are possible...just ask! Loved it, look forward to working with you in the future.